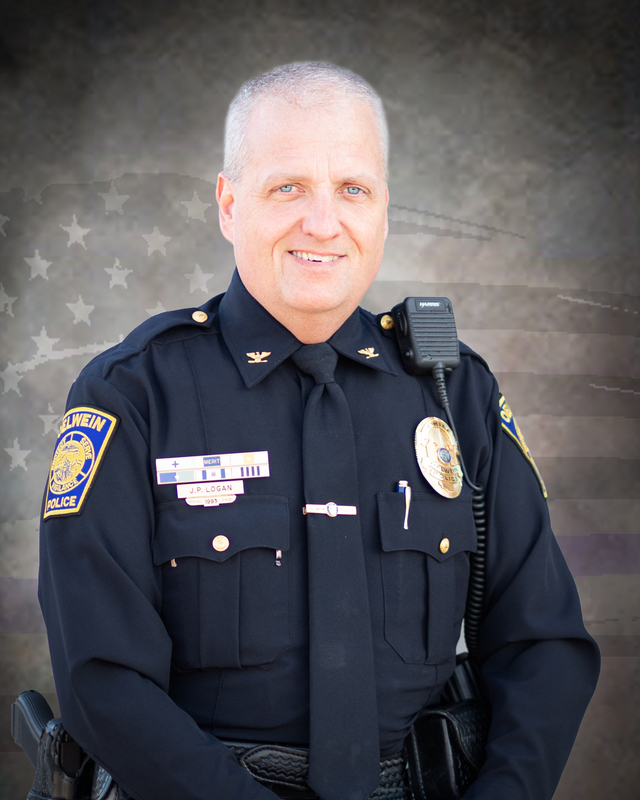 Chief Logan joined the Oelwein Police Department, as a Communications Operator and Part-time Police Officer in 1990. In 1993, Chief Logan began work as a police officer for the Mt. Pleasant Police Department. Later in 1993, he accepted a full-time police officer position with the Oelwein Police Department. Chief Logan was promoted to the rank of Sergeant in 1997 and in February of 2002 was appointed to the position of Chief of Police. Chief Logan holds an Associate of Applied Arts Degree in Police Science from Hawkeye Community College and a Bachelor of Applied Science Degree in Criminal Justice Administration from Waldorf University. Chief Logan has been certified in and served as a department and a state instructor in the following areas: Defensive Tactics Instructor, CPR Instructor, & ASP Baton Instructor. He has also been certified by the Drug Enforcement Agency as a Clandestine Laboratory Investigator. In 1998, Chief Logan received a Police Commendation for Valor, in connection with disarming a subject that had a knife and was assaulting another individual. In 2001, Chief Logan received a Written Commendation for the peaceful resolution to handling an incident involving a male subject that was threatening officers with a knife. Chief Logan has been married to his wife Jean since 1995 and they have two sons and a daughter. Chief Logan has served on the Iowa Law Enforcement Academy Advisory Board, the Iowa Statewide Interoperable Communications Systems Board, Focus Advisory Board for the National Center for Rural Law Enforcement and various other state and federal advisory boards. 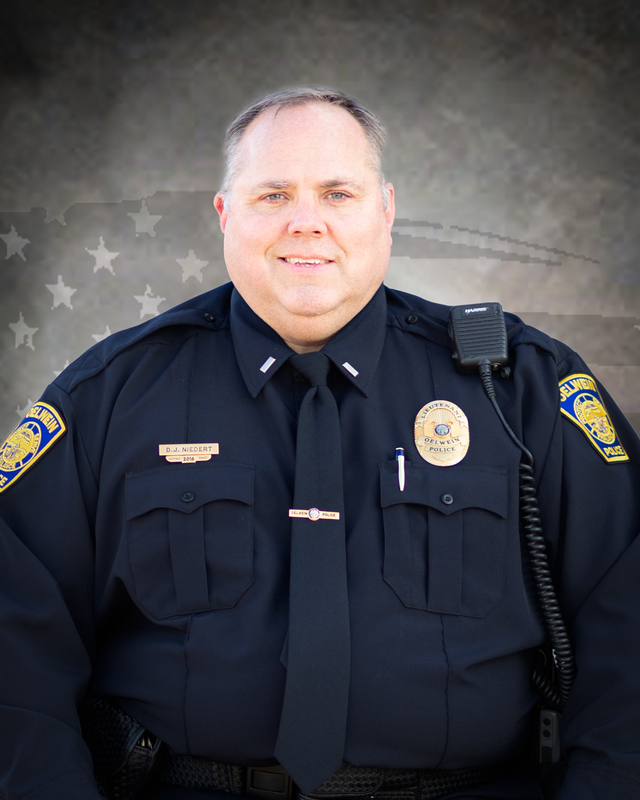 Chief Logan is a member of the International Association of Chiefs of Police, the Iowa Chiefs of Police Association and the Iowa Peace Officer's Association. Chief Logan was elected President of the Iowa Police Chiefs Association in 2011 and was re-elected to this position in 2012, 2014 and 2016. Captain Ron Voshell began his law enforcement career in early 1999 as the Chief of Police for the City of New Hartford Police Department. After serving the City of New Hartford - Capt. Voshell joined the Lucas County Sheriff's Office and served as a road deputy. He then made the move back to north east Iowa and joined the Oelwein Police Department in May of 2002 as a patrolman. Capt. Voshell was promoted to the Rank of Sergeant until September 2011, where he was promoted to the Rank of Lieutenant. He was promoted to Captain in August of 2013. Capt. Voshell is the Oelwein Police Department's Oleoresin Capsicum (OC/Mace) instructor and is also one of the departments Defensive Tactics Instructors. Capt. Voshell is also the departments Reserve Officer Program Coordinator and Instructor. Capt. Voshell has served in the Marine Corps Reserve in communications with an artillery battery and also in the U.S. Army Reserve as a Military Police Officer. Captain Voshell has received specialized training in the following areas: Bicycle Patrol (Certified Bicycle Patrol Officer), Search and Seizure, Incident Command/Management, Drug Interdiction, Police Management, Drug Recognition (DRO). Captain Voshell also was the departments Police Canine Handler until September 2011. “Hawk” who is a German Shepard was a full service police canine residing with Capt. Voshell and came to work with Capt. Voshell every shift. "Hawk" was retired in September of 2011. When not working; Captain Voshell spends most of his time with family and friends. He is happily married and has three children; Cheyenne, Gage, and Mahayla. Capt. Voshell also enjoys playing basketball, playing cards or anything competitive. 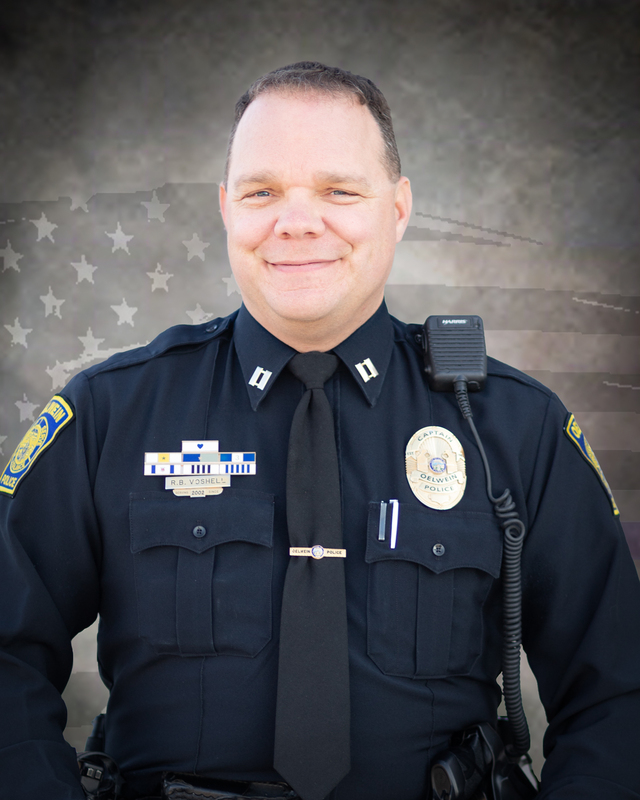 Lt. Niedert is originally from LaPorte City Iowa, where he graduated high school in 1987, He attended and the graduated from North Iowa Area Community College in Mason City, Iowa in 1989. Niedert started his law enforcement career in 1988 while still enrolled in college as a civilian jailer for the Buchanan County Sheriffs Department. Upon graduation he went to work for the Denver, Iowa Police Department. In 1991 he accepted a position with the Independence, Iowa Police Department. In 1996 he was promoted to the rank of Sergeant. He has been an instructor in many different areas, most recently an A.L.I.C.E. instructor. He developed a training course to teach in-home visitation professionals personal safety and has trained over 300 people in the course. He was working as a Patrol Sergeant on 3rd shift for the Independence Police Department in 2016 when hired by Oelwein. From August of 2000, until October 2001 Niedert took a leave of absence from the Independence Police Department and became a contract employee of Dyn-Corp International. He was sent to Kosovo and worked as a police officer in that country after the war. He worked in the regional traffic unit, traffic homicide and as the operations officer at the Pristina International Airport border police station. Niedert is married and has three children. He and his wife enjoy spending their free time watching their children participate in athletics. Niedert has been active in the Independence community volunteering his time for the Independence and St. John school events and fundraisers. He and his wife also enjoy traveling with friends and spending quality time with family.